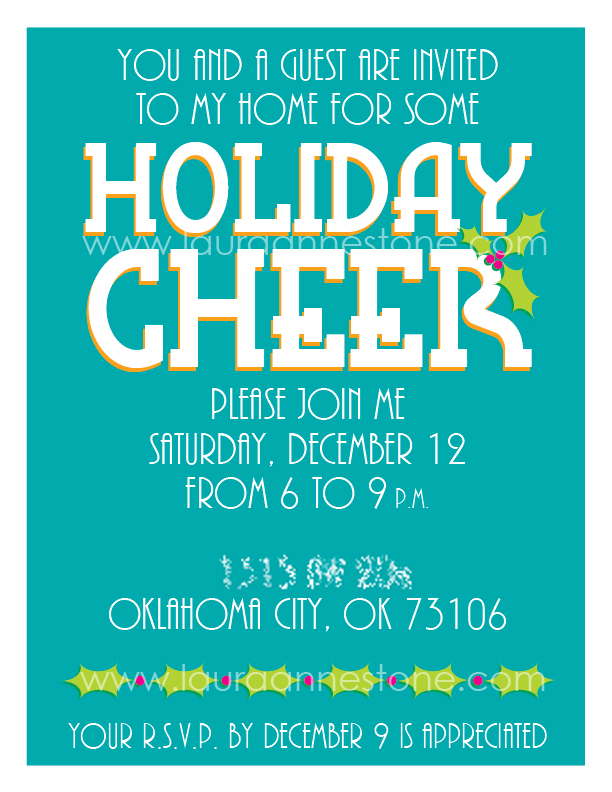 My mother asked me to create an invitation for her staff holiday get-together. Not bad for an hour or so. Unfortunately I like it – a lot – so it’ll be tough to get it out of my head when I do our holiday greetings this year.